Elite Parking oversaw an exclusive VIP party for Miami’s newest dining destination; Azabu. 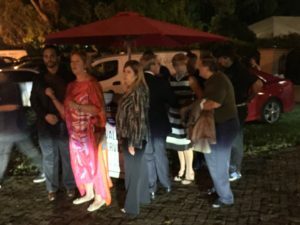 The pre-opening event was held on Oct. 24 and drew the attendance of some of the most well-known socialites in Miami, as well international guests. According to Cansu Mihci, the General Manager of Azabu Miami Beach, the event was an ultra-VIP event, so it was very important that each guest’s overall experience was ‘white glove’ from beginning to end. “Elite parking staff was very kind and helpful throughout the night. They provided great valet service for the event” said Mihci. Azabu Miami Beach is Miami’s newest upscale sushi restaurant, which is set to open to the general public this October. The Michelin-starred concept is based out of New York and is from the same group that brought Lolo’s Surf Cantina to the Marriott Stanton South Beach. The trendy, yet elegant restaurant will open inside the Stanton and include a hidden sushi counter, a formal dining room, and a chic cocktail bar. The Stanton is located on South Beach at 161 Ocean Dr., Miami Beach, FL. Elite Parking provides first-class Valet Parking Services including; highly trained personnel, equipment, insurance, and training for a world-class white-glove valet service that addresses and surpasses clients’ needs. If needed, Elite secures lots in adjacent areas to make sure that there is ample parking spaces available. Elite Parking combines advanced technology such as cloud surveillance with market expertise and unsurpassed professionalism. As the parking industry grows due to the need for more parking management solutions, professionals turn towards technology such as MSR-Traffic. The intelligent sensor helps to improve customer service and is making its way from shopping malls and airports to the hotel scene. For many years, other high-traffic areas have offered their customers the option of a parking guidance system. Hotels may have little control over the booking or the arrival itself, but can significantly influence their guest’s experience after arriving at the hotel’s premises. Most guests are looking not only for a hotel that has a pleasant external appearance, but for a stress-free arrival as well. “A valet and parking operation needs to operate smoothly from the minute a guest arrives until the time they leave a hotel. Especially when you are talking about four and five star hotels and condominiums,” said Ruben Perez-Sanchez, Elite Parking Managing Member. For a guest who chooses to self-park, the search for a parking space can create a negative experience right from the get go. Parking guidance systems equipped with single-space sensors help to solve this issue. MSR works by alerting drivers when a parking space is taken by signaling the data to a controller. Drivers can then see on a real-time display exactly how many parking spaces are open and where they are located. Unfortunately, the use of MSR-Traffic is limited to smaller parking areas, not large parking garages. 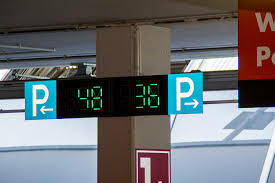 Investing in this type of parking guidance system is particularly worthwhile for parking spaces with poor visibility or where drivers may face difficulties reversing when at full occupancy. It can also help guest who is unaware that there is still a parking space near the entrance, so they he unnecessarily park on neighboring streets. This type of sensory technology may not only help guests in their quest for parking spaces, but may assist parking and property managers with gathering important data from a far. Elite wants to congratulate Vladimir Garcel for receiving October’s employee of the month! He began his career with Elite Parking a little over two years ago as a valet attendant. Presently, he attends the parking needs of both the Marea Condo and the South of 5th Garage. His hard work and dedication and his ability to cover when needed have earned him this award. 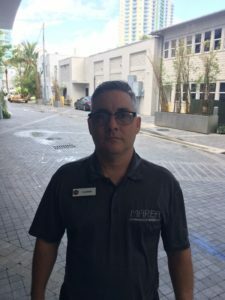 As a valet attendant at Marea, he handles all areas including: managing parking and traffic control in assigned areas; assist all customers to move in and out of vehicles; retrieve vehicles for each guest with courtesy; maintain vehicle count and ensure operation of all vehicles efficiently and maintain log sheet for the parking facility. Garcel’s attention to detail and desire to provide each guest with “white glove service” allow him to maintain the properties strive towards exceptional standards. Garcel is a native of Cuba, but relocated permanently to Miami in 2012. When not at work, he enjoys his favorite past-time, baseball. At work, he brings great work ethic and a sense of enthusiasm to his job. Garcel looks forward to continuing his career in the parking industry.